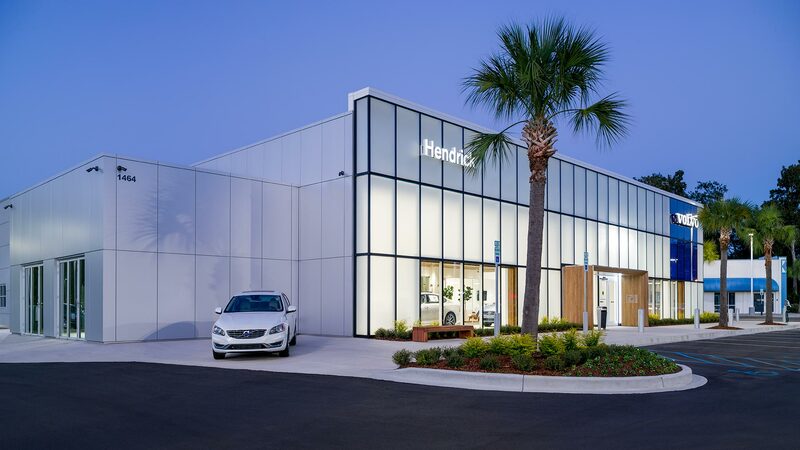 Hendrick Automotive Group’s (HAG) auto “campus” on Savannah Hwy. in Charleston, SC has been evolving for over 20 years. 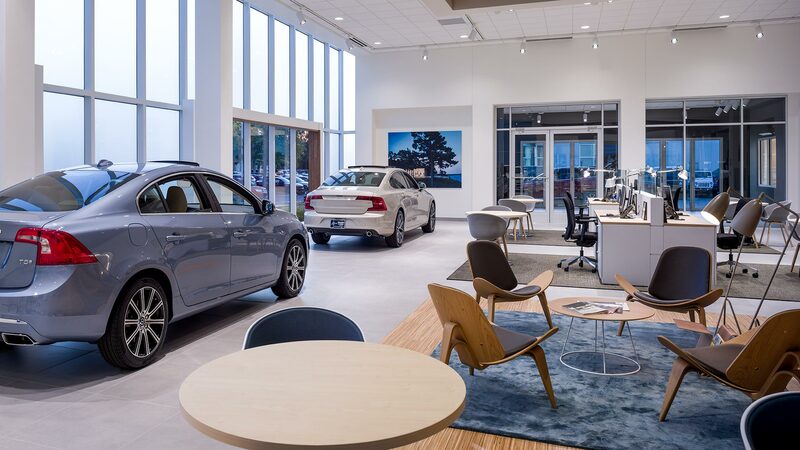 As different brands expand, one dealership has taken over another many times, mostly due to land constraints. When more land became available, several “swaps” took place. 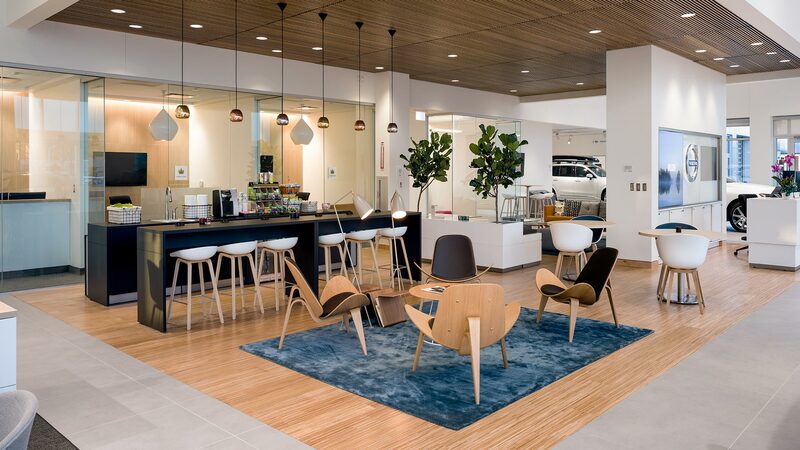 One such evolution was turning a Honda dealership into a new Volvo dealership. 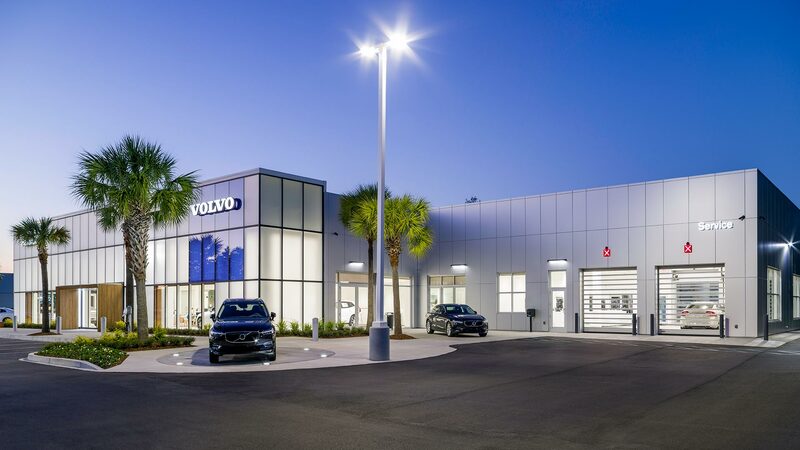 All of the Honda elements were removed and the skin of the building was replaced with a new full-height curtainwall design that glows at night. 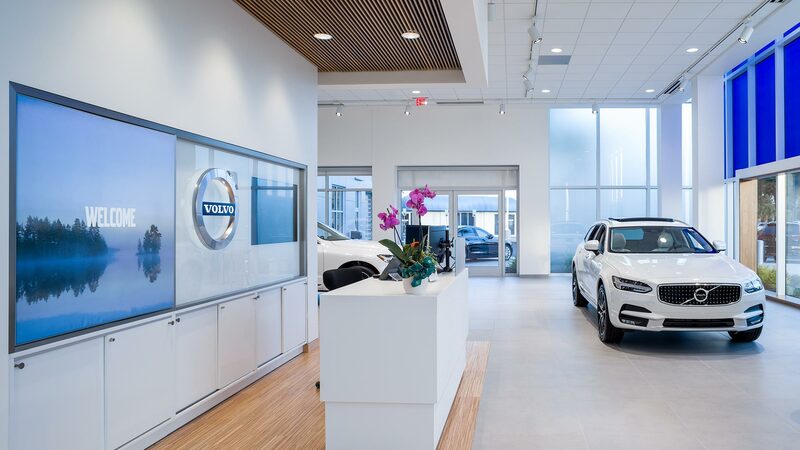 The front entry is a wooden portal, harkening back to the Volvo’s Swedish roots. The interior is a beautiful blend of cool whites, light woods and blue hues. The furniture echoes this simplistic look. Open, full-glass office fronts and warm wood accents all help create a bright open plan.